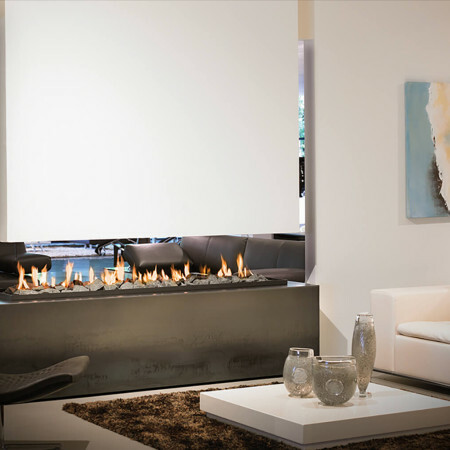 This suspended designer fireplaces transforms a fireplace into a piece of furniture. 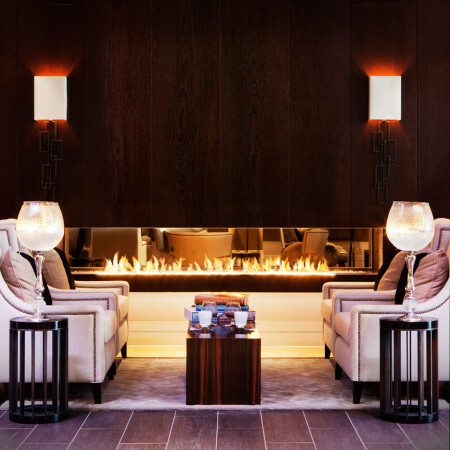 The canopy is ceiling hung meaning the design offers all round view of the dancing flames. The flame itself can be up to an amazing 2.4m long made up of one single burner which represents the longest flame on the market. The base section is leather clad to add an unusual feature with an array of leathers possible but it could equally be clad in stone or other materials. The beauty of such a base is that you can sit down and enjoy the warmth of the fire up close. Remote controlled as standard the fire is turned on at the push of a button and combined with the overall modern design, it represents true luxury. 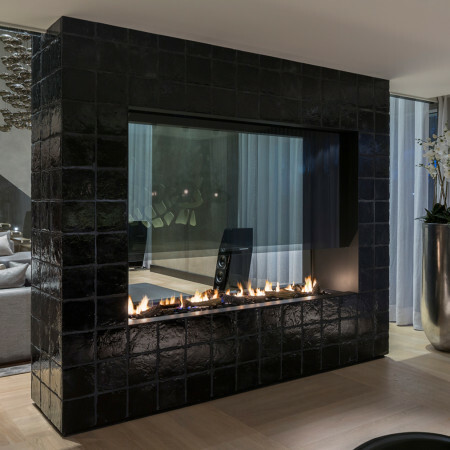 Speak to a design consultant to see how our suspended designer fireplaces could be incorporated into your project.